Sports Industry in India is emerging as one of the fastest growing industry along with being the most rewarding ones. IISM, a pioneer in Sports Management Education believes in not just educating but also empowering the society as a whole. 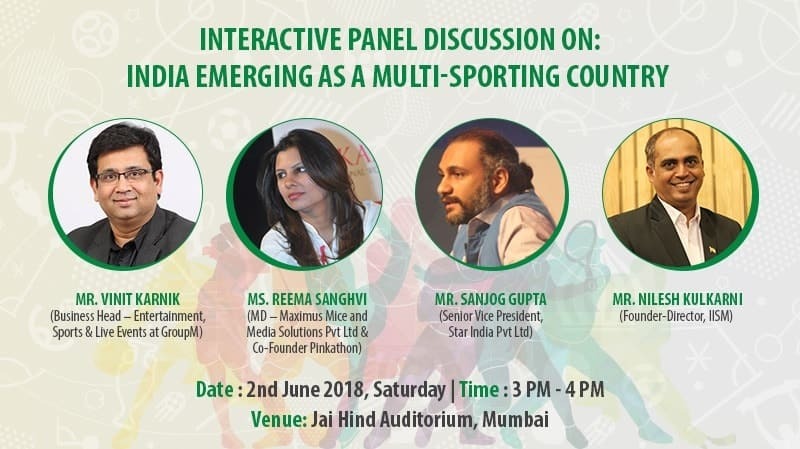 IISM believes in aiding the spread of awareness about the growth & potential of the sports industry in India & its development for the youth and thereby highlight the tremendous contribution it can make towards the economy of the country and overall well being of the people. The interactive panel discussion with experts from within the industry would help the young aspirants & the parents get an interesting insider perspective & help them gain valuable insights of this sunrise sector. The session would be held at Jai Hind Auditorium, Mumbai on 2 June, from 3 PM- 4 PM. To block your seat, click here.